Record a special period in your life with a personal organiser and pen set, ideal for a wedding or pregnancy. 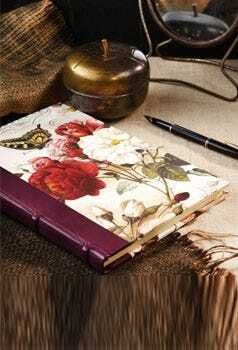 The journal is hand-made in Italy and can be embossed with your own message. This OHTO slim ballpoint pens will fit in the tightest planner loops. They are a perfect, slim companion to carry along with your notebooks, organizers, checkbooks and more. Absolulty beautiful, real good quality. Lovely pen. Superb quality journal.